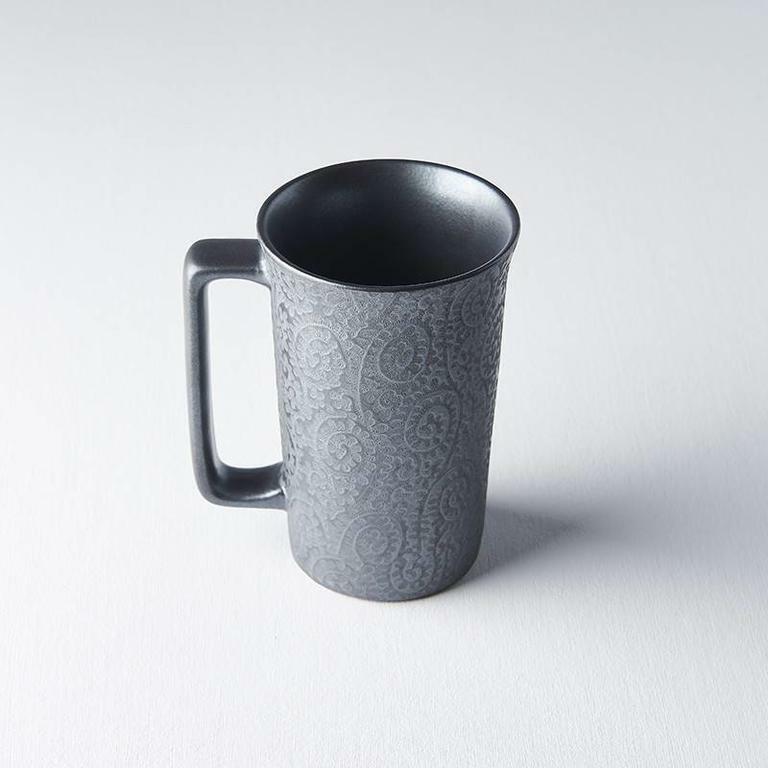 Large black mug with handle, embossed with a simple and classic scroll, paisley design. 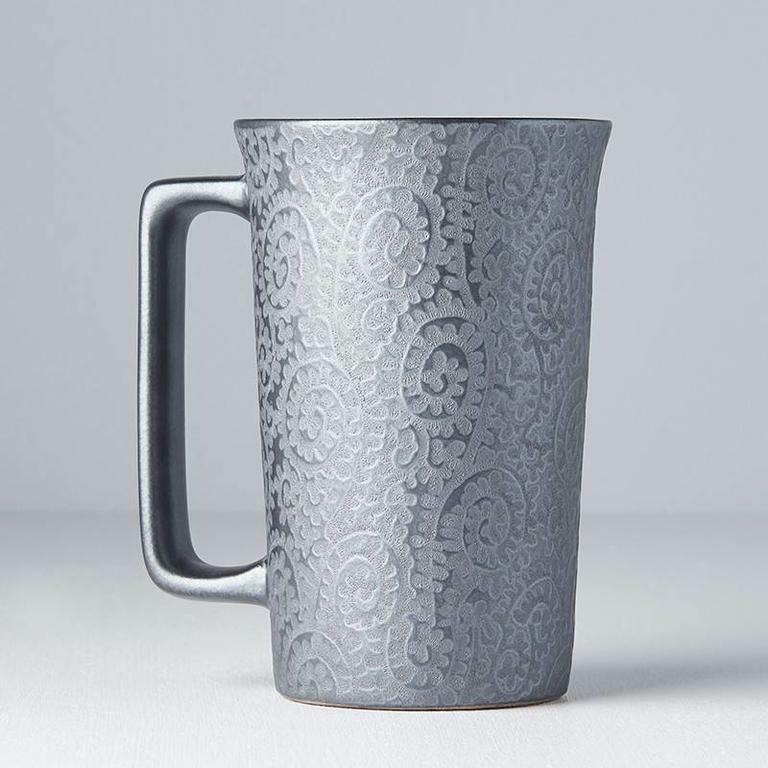 Perfect for a steaming cup of your favourite winter warming drink. 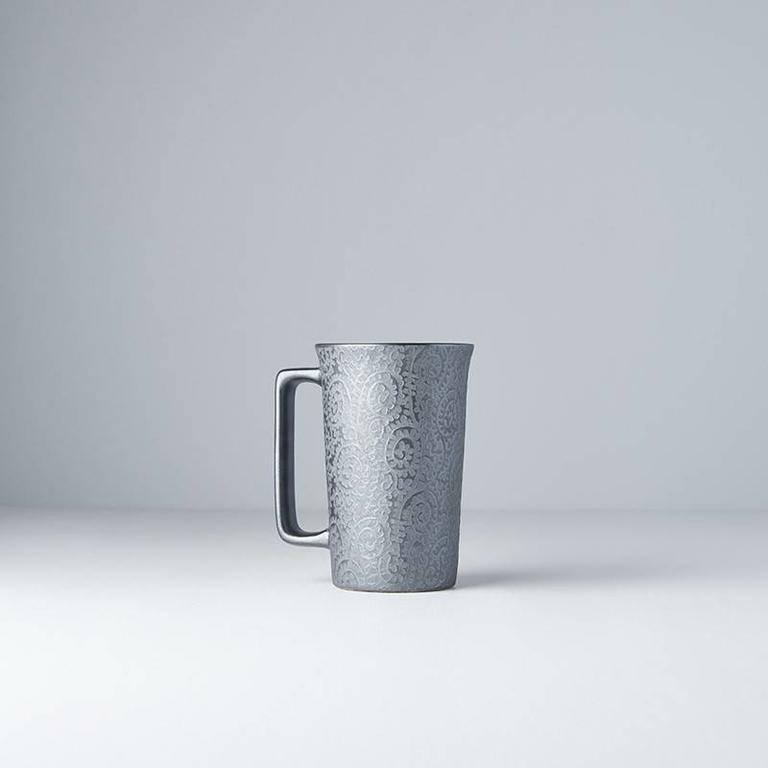 Perfectly proportioned bright green mug with darker ceramic edges, a brilliant bright gloss combined with a natural finish make this a very pleasing mug. Lovely teacup or mug featuring a butterfly motif and a dark clay base. Perfect for any hot refreshment. Lovely large mug with a pretty butterfly motif across the mug and a dark ceramic base. The contrasting colours work really well with this mug.